Japanese plutonium is being shipped to the United States for secure storage and disposition ahead of a fourth summit of more than 50 world leaders to address the security of nuclear materials. In a joint statement with the United States at the 2014 nuclear security summit in The Hague, Japan committed to removing approximately 331 kilograms of separated plutonium from its Fast Critical Assembly facility, which is used for nuclear research. The fourth summit will be held March 31-April 1 in Washington. The summits are part of a 2009 initiative by President Barack Obama to secure and minimize the quantities of weapons-usable nuclear materials in civilian use. The first two summits were held in 2010 in Washington and 2012 in Seoul. 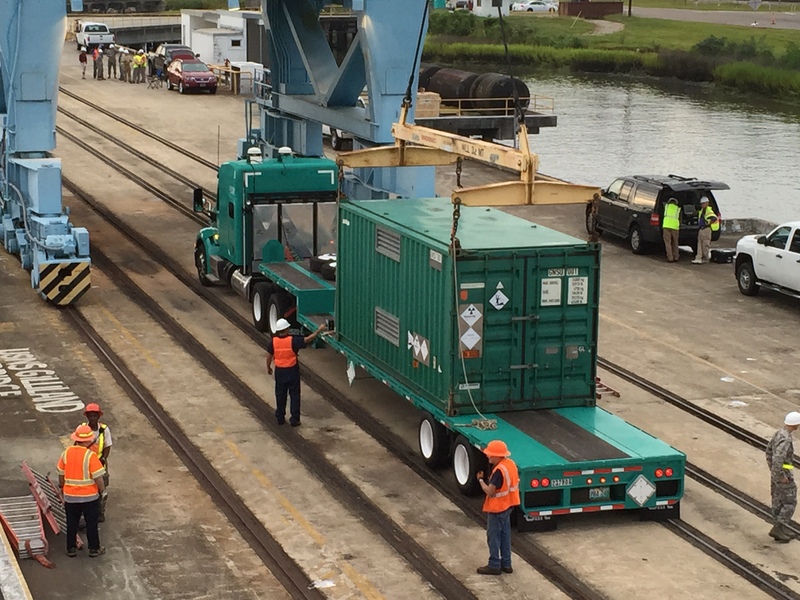 The plutonium from Japan is being transported to the Savannah River Site in South Carolina on two UK-flagged ships, the Pacific Egret and the Pacific Heron. It is unclear how the United States will dispose of the material. The plutonium from the Fast Critical Assembly originated in France, the United Kingdom, and the United States. The shipment of separated plutonium is just a fraction of Japan’s total stockpile of that material. Japan declared to the International Atomic Energy Agency in August 2015 that as of December 2014, it had 10.8 metric tons of separated plutonium stored domestically and an additional 37 metric tons stored abroad. But most of the material from the Fast Critical Assembly is of an isotopic composition that makes it particularly well suited for use in weapons. The U.S.-Japanese statement also called for the removal of highly enriched uranium (HEU) from the Fast Critical Assembly. U.S. and Japanese officials did not respond to requests for information on the status of that material. 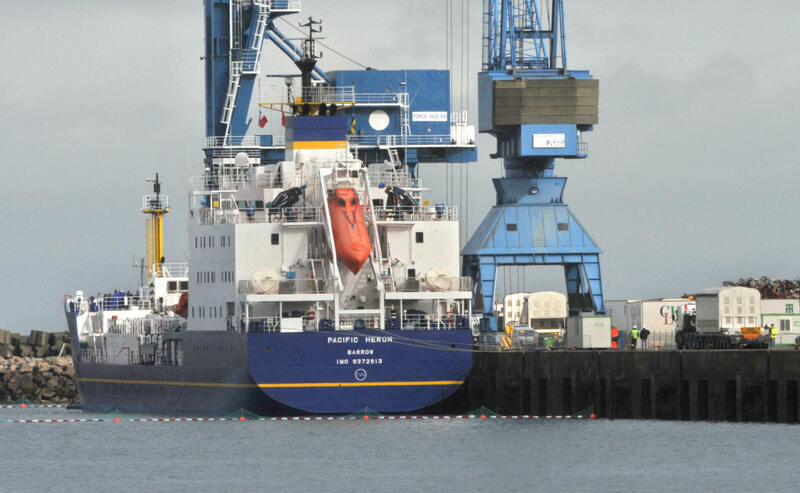 In another summit-related development, a shipment of separated plutonium from Switzerland arrived in the United States last month. The Energy Department’s National Nuclear Security Administration (NNSA) announced on March 3 that that country’s entire remaining stockpile of separated plutonium, approximately 20 kilograms, was removed from the Paul Scherrer Institute, where it had been stored since the 1960s. The plutonium was reprocessed from research reactor fuel rods. The material will be stored at the Savannah River Site. Switzerland shipped the last of its HEU to the United States in September. 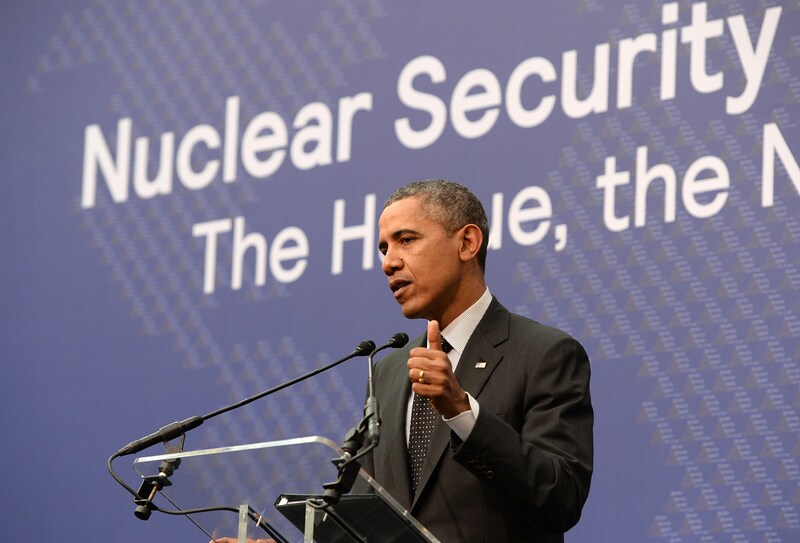 The positive results of the nuclear security summit process from 2010 to 2016 demonstrate how high-level, sustained leadership can catalyze action on a global problem: the threat of terrorists gaining access to nuclear weapons-usable material. More work lies ahead, but the intensive, six-year-long summit process has significantly reduced nuclear vulnerabilities in key states. As with preventing nuclear terrorism, reducing the catastrophic threats posed by nuclear weapons is a global enterprise that requires renewed leadership, dialogue, and action on the part of all the world’s nations. Unfortunately, 70 years after the attacks on Hiroshima and Nagasaki, progress on disarmament is stalled; the risk of nuclear competition and conflict is growing; and several states are expanding or upgrading their nuclear arsenals. There are no active bilateral or multilateral negotiations to further regulate, cap, or reduce the stockpiles of any of the world’s nine nuclear-armed states. The possessors of the two largest arsenals, Russia and the United States, each deploy more than 1,800 strategic warheads on several hundred bombers and missiles—far more than necessary to deter nuclear attack. In 2013, President Barack Obama announced he is prepared to cut the U.S. strategic nuclear arsenal by an additional one-third. So far, Russian President Vladimir Putin has rebuffed the proposal and failed to make a counteroffer. Bilateral talks on further nuclear reductions are on hold indefinitely. Meanwhile, other nuclear-armed states, such as China, France, India, and Pakistan, sit on the nuclear disarmament sidelines. 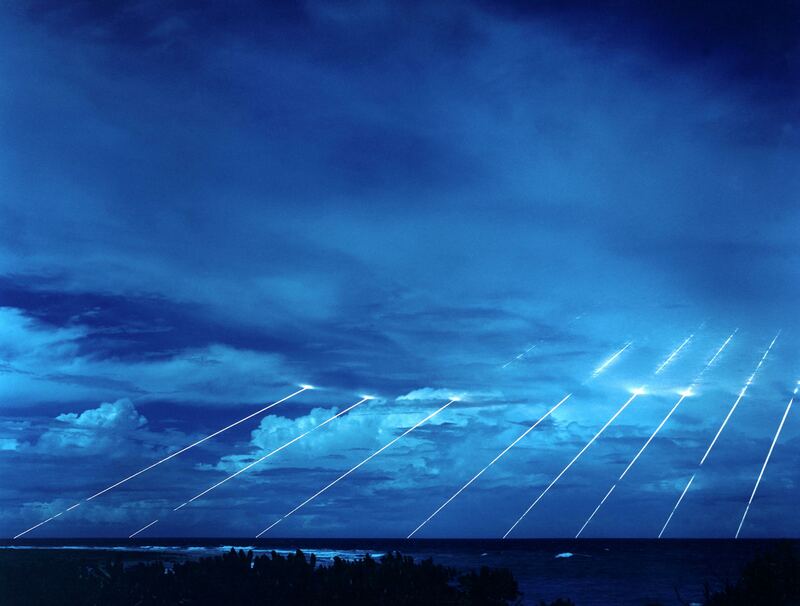 Leaders in Beijing, Islamabad, and New Delhi profess support for disarmament and “minimum” deterrence, but each is pursuing new land- and sea-based nuclear delivery systems. Although smaller in number, these arsenals are increasingly dangerous and destabilizing. For nearly two decades, the key countries at the Conference on Disarmament in Geneva have been unable to reach consensus to begin negotiations on a fissile material control treaty or to start nuclear disarmament discussions. The 2015 Nuclear Nonproliferation Treaty (NPT) Review Conference failed to produce an updated, meaningful action plan on disarmament that builds on previous disarmament commitments. The next review conference is another four years away. Some states and civil society campaigners want to launch talks on a treaty to ban nuclear weapons possession or use. Such a ban is eventually a necessary step toward a world without nuclear weapons, but it will not by itself change today’s dangerous nuclear doctrines or eliminate nuclear arsenals. It is not a substitute for the difficult work and bold leadership necessary to reduce nuclear risks and head off new dangers. As Henry Kissinger, Sam Nunn, William Perry, and George Shultz argued in an op-ed in 2013, a new multilateral effort for nuclear disarmament dialogue is needed. 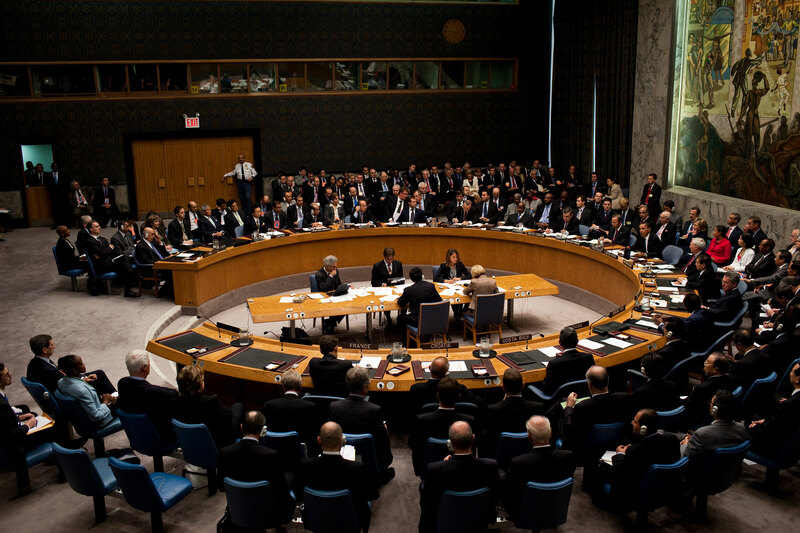 UN Secretary-General Ban Ki-moon suggested in 2009 that the UN Security Council convene a summit on nuclear disarmament. Now is the time to seriously consider a high-level summit approach to help overcome the impasse on disarmament. Leaders from a core group of states could invite their counterparts from a representative group of 20 to 30 nuclear- and non-nuclear-weapon states to join a one- or two-day summit on steps to achieve a world free of nuclear weapons. This high-level meeting could be a starting point for ongoing, regular disarmament discussions at the expert and ministerial levels. As Japanese Foreign Minister Fumio Kishida has argued, the dialogue on disarmament should be based on a clear understanding of the devastating impacts of nuclear weapons use and an objective assessment of the security concerns of states. For instance, U.S. and Russian leaders could jointly announce they will resume negotiations on a follow-on treaty to the 2010 New Strategic Arms Reduction Treaty. Further U.S.-Russian cuts, which are possible even without a new treaty, if combined with a pause in the nuclear buildups by China, India, and Pakistan, could help establish the conditions for future multilateral disarmament talks. A nuclear disarmament and risk reduction summit process would complement the ongoing dialogue on nuclear terms and concepts involving the five NPT nuclear-weapon states and the humanitarian impacts initiative. Such a process by no means would be easy. But by putting the spotlight on the issue, it could spur new ideas and momentum. 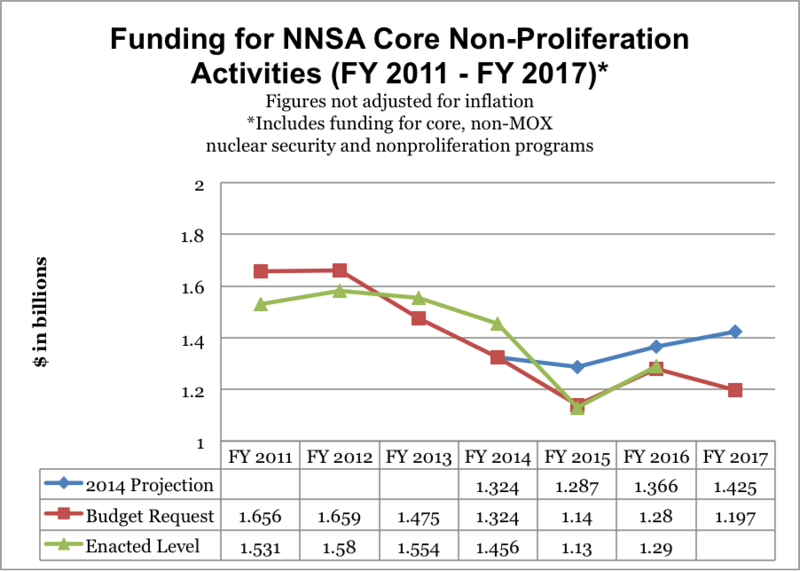 An effective new tool for improving global nuclear security is in danger of being lost, according to a new report by the Arms Control Association (ACA) and Partnership for Global Security (PGS). 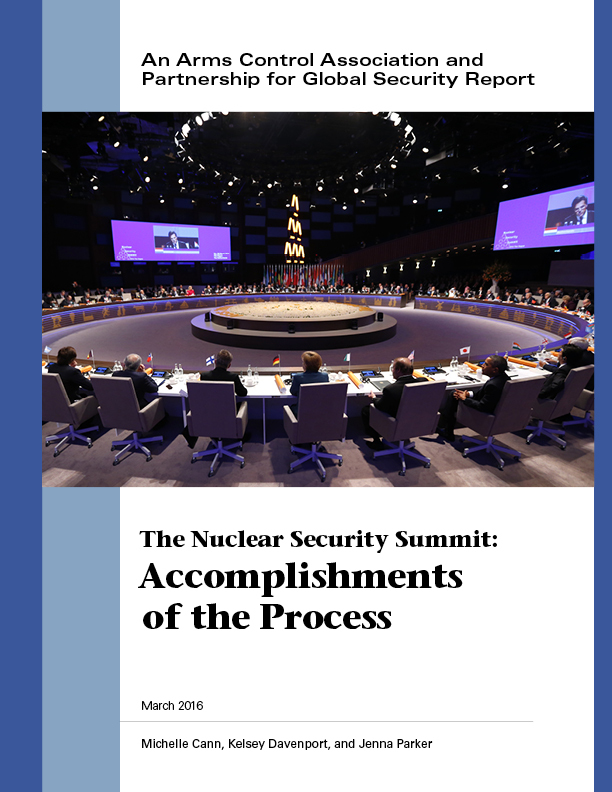 The report concludes that regular, voluntary commitment-making by states has resulted in many of the Nuclear Security Summits’ most important accomplishments, but it is not clear if world leaders will choose to preserve this tool after the six-year summit process ends on April 1. The White House hopes to spur “further steps” at this month’s gathering in Washington.